If you are considering a gap year in Israel the chances are you already have a fairly strong sense of Jewish identity in one way or another. Taking a gap year with Aardvark Israel will allow you to shape the year into one that not only provides a huge amount of fun, regardless of religious identity, but also becomes a so-called ‘Jewish Gap year’ that will allow you to explore your relationship to Judaism. First off, just spending the time in Israel is guaranteed to provide a Jewish experience on your gap year. Each week you will see the country shut down for Shabbat, you will see kosher restaurants and religious people on every street. You will also experience what the Holidays are like in Israel, celebrating Rosh Hashana or Pesach in Israel is immediately different to elsewhere. Israel highlights the conflict between Judaism as a religion and as a culture. It forces people to address questions of religion and state, should shops close on Shabbat, should public transport run on Shabbat and so on… While living in this environment it becomes almost impossible not to consider these questions and discover more about how you relate to Judaism. To help further these discussions and to advance your knowledge you will have the opportunity to take a number of courses. For instance, the course Judaism as a Faith and Civilisation explores areas such as ‘What is Judaism?’ and ‘Judaism in America’. You can also take courses in areas such as Jewish Medical or Business Ethics or a course on the Holocaust and its representation in Israeli Literature. All of these options are designed to help you explore the ideas of Judaism and Jewish identity in more breadth and depth. They will allow you to have a truly Jewish gap year regardless of your own approach to religion and identity. One of the best things about gap years with Aardvark Israel is that the participants come from a variety of backgrounds. You will spend a fair amount of time exploring all the aforementioned issues and thanks to the diversity of participants you are sure to come across new perspectives and points of view that open up new approaches for you. 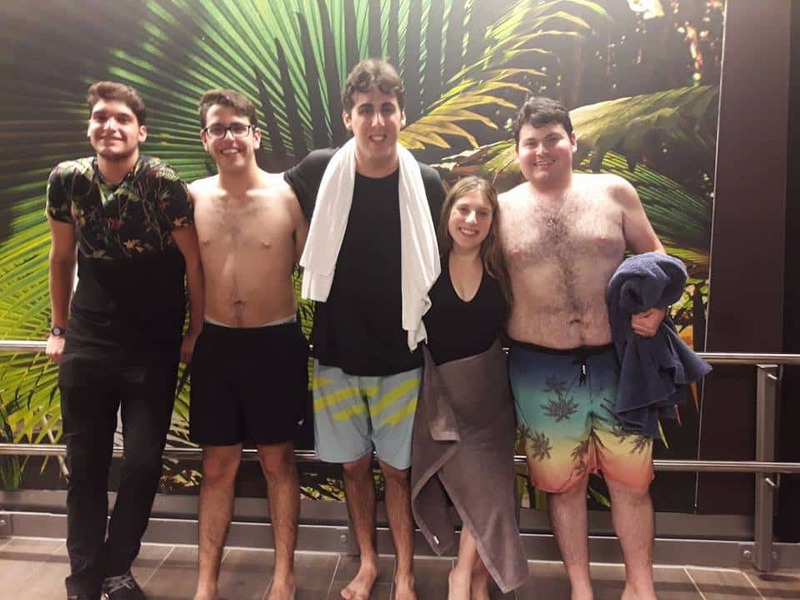 Many people immediately think of Yeshiva or Seminary when they think of a Jewish Gap Year but at Aardvark Israel we take a much broader approach. Those interested in religious studies will have plenty of opportunity, such as a course on Midrash and weekly Parsha sessions. However, those who are less comfortable with this but are hoping to gain a better understanding of where Judaism fits into their lives will also have plenty of opportunity. In short, spending your gap year with Aardvark Israel ensures that you will have a Jewish Gap Year in every sense of the word.